Welcome to the Pet Memorial Urns Online network where we offer Pet Urns and Pet Cremation Urns as well as other Pet Keepsake Jewelry for remembering your beloved pet after their passing. Whether you have already lost your pet or are preparing for the loss, let us be one of the first to offer our sympathies during this difficult time and extend our loss of pet condolences. We hope we can help you find the perfect pet memorial urn online, so that you will have a special final resting place for your beloved pet and companion. Pet Memorial Urns Online was also started to be an informational resource for those seeking advice or help for dealing with the loss of their pet because there are so few complete resources available. Using the content links located throughout the site you can quickly jump to each of our sections, or you can read a summary of the contents of our site below. As a society we know that with all life comes death, it is inevitable. When the death that occurs is a spouse, family member or close friend it is natural to feel sorrow, express grief, and expect family and friends to provide understanding and comfort. The same does not always hold true if the death that has occurred is that of a pet. You as an owner may experience the same feelings of loss, but encounter less support dealing with the loss of your pet in some instances because others might not understand how important the pet really was. People love their pets and some even consider them immediate members of the family, which depending on the type of animal, may have been for years. 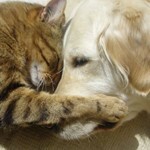 Pets provide companionship, acceptance, emotional support, and unconditional love during the years they share with you. If you understand and accept the bond between pets and owner, you can take the first steps toward dealing with the loss of your pet by knowing that it is okay to grieve when a pet dies. The next step is to understand how you grieve and find ways to cope with the loss so it can bring you closer to the day when the memories of your pet bring happy thoughts instead of tears of sorrow. When the loss of a family pet occurs with children involved, it is important to remember that this loss is probably one of the child’s first experience with death and as such should be handled with great care as they can be far more sensitive than an adult would be. With children and pet death the child may blame themselves, the parents, or even the veterinarian for not saving the pet. They may feel guilty, depressed, and frightened that others they love may be taken from them. 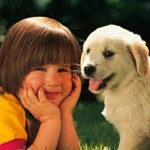 Never try to protect your child by saying the pet ran away because honesty is important for their future development. This may cause your child to expect the pet to return or even wonder what they did to make it leave. This will extend the grief period even longer than usual, or even instill a feeling of parental betrayal if they do discover the truth. It will also make it harder for a child to accept a new pet in the future, because they may believe that loving a new pet would be a betrayal to their old friend. If you had to put the pet to sleep, make sure your child understands the difference between ordinary sleep and death, or you risk the child themselves being fearful of going to sleep and not waking up. Make it clear that the pet will not come back or wake up, but that the pet is happy and free of pain. Expressing your own grief with your child will reassure them that feeling sadness at this time is okay and help them work through their own feelings. Finding a way to say goodbye and remember your pet is also important for yourself and your family during the grieving process, and there a number of things that you can do to honor their memory. Write About Your Memories And Shared Experiences. 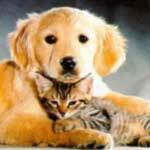 Compose a eulogy or elegy about what made your deceased pet special to each family member. You can then read it at a special memorial service. Put Together An Album Of Memories. Creating a photo album, scrapbook, or collage of your pet allows you to focus more so on the good times and can be very therapeutic for dealing with the grief and loss. Plant A Living Memorial. Let others know how much your pet was loved and cared for as well as help restore greenspace by planting a tree in their memory. Provide A Special Place For Your Pet’s Ashes. Keep the ashes of your pet in a beautiful pet urn or within pet keepsake jewelry. You can also get weatherproof pet cremation urns if you intend to bury your pet in a special place on your property. Hold A Memorial Service. One of the most important steps in grief recovery is to hold a memorial service so that you or your family can say goodbye to your pet. This is also the perfect time to share the memories you wrote about or the album you put together. After the grieving process is over and enough time has passed, pet owners usually ponder whether or not they should get a new pet, especially if children are involved or how to go about introducing a new pet into the family. It is important to remember that children need more time to adjust to the loss because getting a new pet too soon can cause feelings of disloyalty or guilt and create problems in bonding with the new pet. Depending on the age of the child, they may also think that if something were to happen to them, they would soon be forgotten and a replacement found. They need to understand that friendships cannot be immediately replaced. Another important thing to remember is that you are not replacing your old pet, and as such you should avoid getting a look-a-like or the exact same breed. A new pet should only be introduced when everyone in the family is ready to move forward and build another new long lasting bond with a new friend and member of the family. 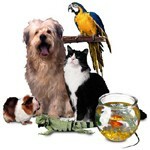 If it was a family pet, plan an outing to a local pet store, or even animal shelter to pick out your new pet together. You will be surprised at how this as well helps even further with the grieving process and moving on. To read more in depth about what we have covered above, please navigate to the appropriate section using the content links located in the upper left sidebar or using the quick links throughout the site. If you have any questions or concerns that have not been answered fully, feel free to post comments within any part of our site or use the Contact Us link, and we will respond as soon as possible. There are also a number of other resources featured throughout Pet Memorial Urns Online that can further assist the healing process including books on pet loss which can also be helpful during this difficult time.